Shoji Tabuchi Announces Branson Christmas Shows in 2018! 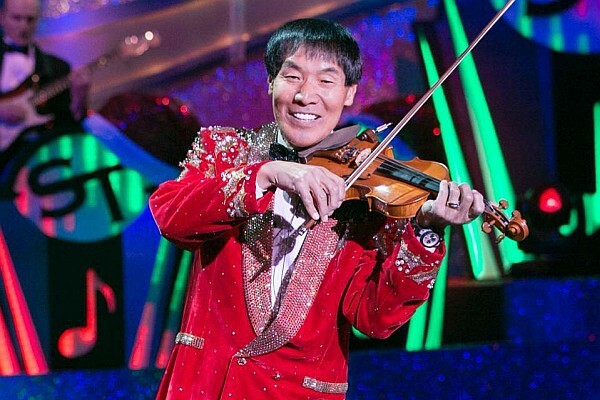 Famous Japanese fiddler and violinist Shoji Tabuchi has announced a specials series of Christmas shows this fall and winter in Branson, MO! Celebrating “25 Days of Christmas,” Shoji Tabuchi’s holiday show is set to deliver a one-of-a-kind Christmas production that you won’t want to miss! Shoji Presents “25 Days of Christmas” Shows! Running for twenty-five dates between October 22 and December 21, 2018 – Tabuchi will perform his world-famous Christmas show! With afternoon show times at 2:00 pm and evening times at 7:00 pm (that vary by day during its run), there’s plenty of chances for visitors to catch this critically-acclaimed production! Showcasing the amazing musicianship and instrumental talent of the famous fiddler, it promises to deliver a one-of-a-kind entertainment experience that all ages will love! Tabuchi will be joined by his wife Dorothy, whose role as Executive Producer ensures that the world-famous show continues to delight and entertain audiences. Their daughter Christina will be joining Shoji on stage, showcasing her incredible talent and sharing some of the most amazing singing and dancing that you’ve ever seen in any holiday show! Performing at the Clay Cooper Theatre! In 2017, the Shoji Tabuchi Theatre suffered considerable fire damage – resulting in the venue undergoing a significant restoration process that still continues. During this time the Tabuchis toured the country, presenting their LIVE from Branson show to sold-out venues and theatres across the United States. 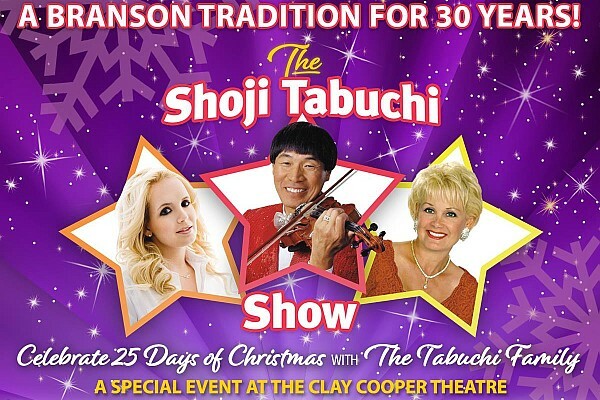 Not one to let the unfortunate event prevent Branson visitors from catching his performances – Shoji has announced that his famous Christmas show will continue at the Clay Cooper Theatre for the remainder of the 2018 season! 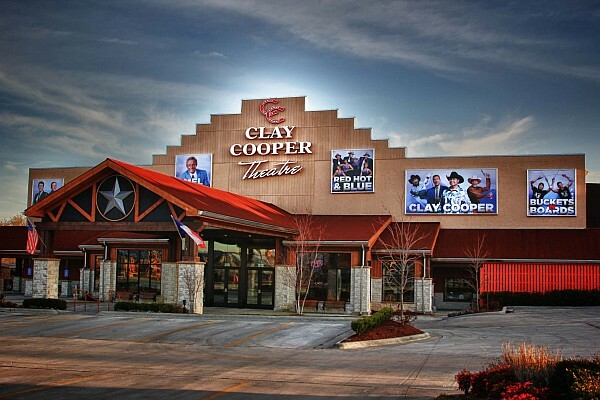 Home of some of Branson’s most popular shows (including Clay Cooper, The Haygoods’ show, #1 Hits of the 60’s show, and Hot Rods and High Heels), it was a natural fit Shoji’s unrivaled Christmas show. Legendary & Iconic Country Star! Shoji Tabuchi is one of country music’s most enduring and accomplished stars, with performances for several US Presidents, more than two dozen appearances on the Grand Ole Opry, and shows alongside some of the most iconic and legendary stars in country music! A true Branson pioneer, Shoji Tabuchi has shared the stage with some of country music’s most legendary artists, performed on the Grand Ole Opry 27 times, and performed sold-out shows around the world! Branson visitors won’t want to miss this rare opportunity to catch one of Branson’s most popular entertainers performing LIVE on stage! Seats Will Fill Up Fast! 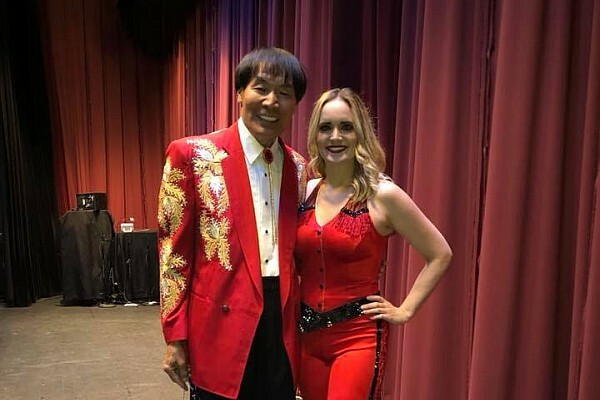 Through the years Shoji has performed his famous country music show and holiday production for millions of guests – delivering a memory-making and unforgettable experience for generations of fans! This is a rare chance to see one of Branson’s most iconic and legendary performers putting on one of the must-see shows of the season! Because of Tabuchi’s popularity and the limited engagement run, advance reservations are highly recommended to ensure the best seating and availability! For tickets to Shoji’s Christmas show, call toll-free: 1 (800) 504-0115.